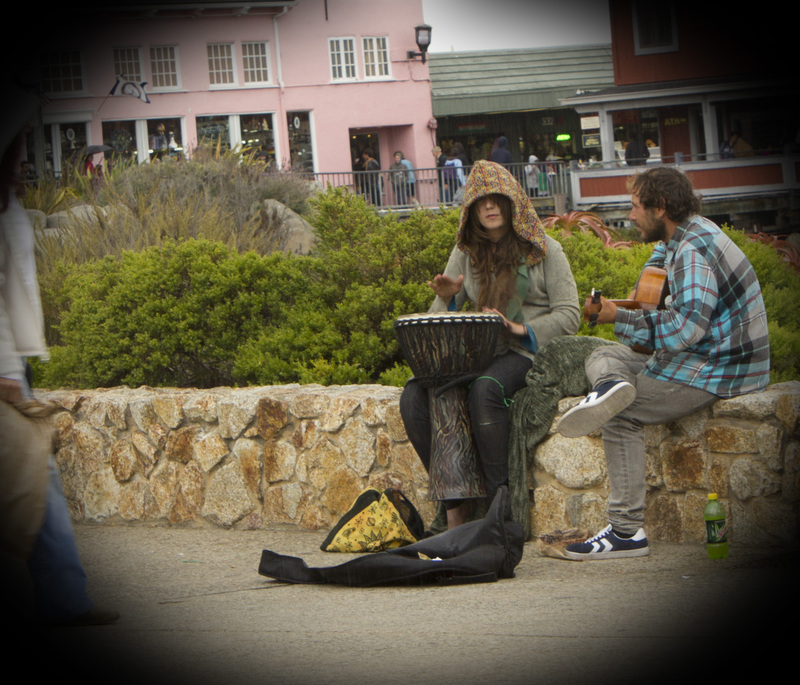 Last August, I was performing on the street in Monterey for a couple weeks. One couple caught my eye. Andy was a homeless guitar player and his girlfriend Mona played the bongos. She was high every time I saw her. In fact, once I saw her loitering in a parking structure, and she didn’t even recognize me. Looked like she didn’t even know where she was. It was such a shame. She was a pretty girl. When writing my newly published novel, What Happens to Us, http://www.amazon.com/dp/B00DSSN5SU, I inserted them into it. They’re the couple, Brescia and Memory, from whom Dante tries to buy a car with a fake registration, but which transaction opens up a whole other can of worms. Last week, after a year’s absence, I returned to Monterey to perform and saw Andy, playing his guitar on the same old wall. I said hello. “Hey, dude,” Andy answered back. But at the mere mention of her, Andy’s whole face changed as if a storm had suddenly moved in. It seems like mayhaps they had issues?